President and Founder: Brain Health Center, Inc.
Dr. Nussbaum is Board Certified in Clinical Psychology and Geropsychology. He is one of 53 Board Certified Geropsychologist and one of 4 in Pennsylvania. 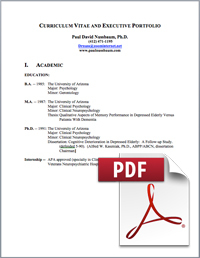 Doctor Nussbaum is board-certified in Clinical Psychology and Geropsychology with a specialization in Neuropsychology. He is a member of the National Health Register for Psychologists and a Fellow of the National Academy of Neuropsychology and American Academy of Clinical Psychology. 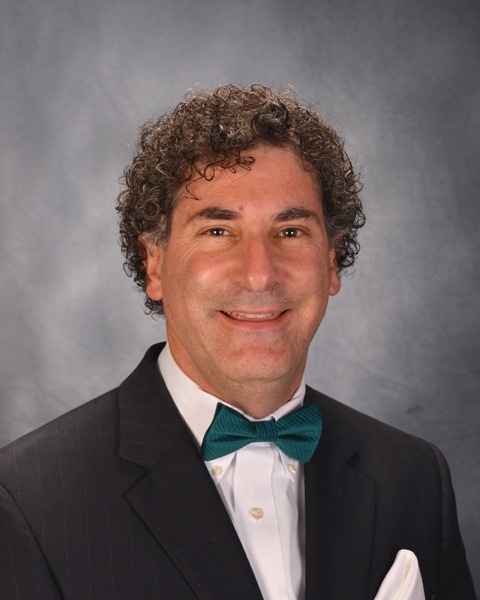 Having earned Phi-Beta Kappa and his Doctorate in clinical psychology from the University of Arizona in 1991, Dr. Nussbaum completed his internship and Post-Doctoral Fellowship at Western Psychiatric Institute and Clinic, University of Pittsburgh School of Medicine. He is an Adjunct Professor in Neurological Surgery at the University of Pittsburgh School of Medicine. He is the Founder and President of Brain Health Center, Inc. that provides independent medical examinations, neuropsychological assessments, and case management for those suffering neurological and neurobehavioral disorders. The Center also serves as the epicenter for Dr. Nussbaum’s Brain Health Lifestyle®, consultation business, and his Keynote presentations internationally. Doctor Nussbaum educates the general public on the basics of the human brain and how to keep the brain healthy over the entire lifespan. He has presented his views on brain health at the United Nations, National Press Club, Mensa, Sirius Radio, and CSPAN. His keynote presentations are both informative and fun and he is often interviewed by the local and national press/media. Dr. Nussbaum serves as the “face of brain health” to many companies and organizations, as he bridges neuroscience to the general public (see www.brainhealthctr.com/partners). 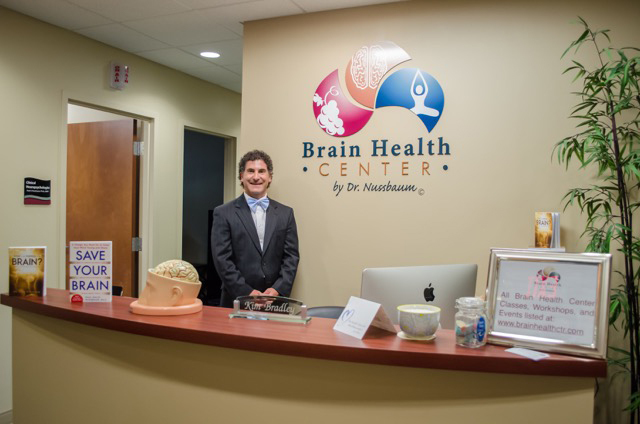 For more information about Brain health, the Brain Health Center, or Dr. Nussbaum, visit his website (www.brainhealthctr.com) or call 724 719-2833.